Do you need organizing solutions for your home office? MIND OVER CLUTTER is offering a free 30-minute Virtual Organizing Session. 2. You show me your home office. 3. 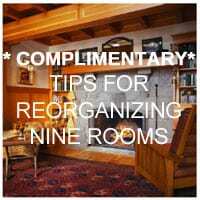 I recommend solutions for your organizing dilemmas.